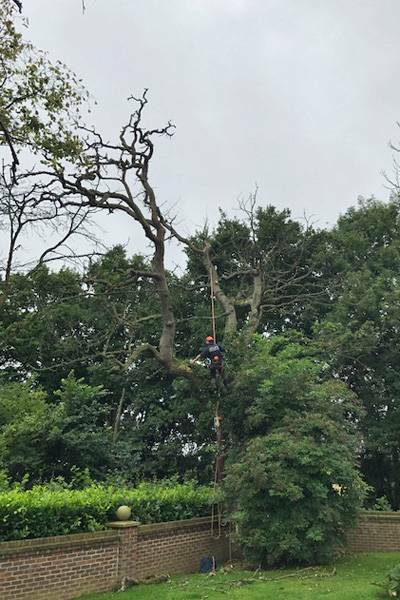 At Chris Edge Treecare Limited we provide a complete & comprehensive service and in our Tree Surgery Division all of our staff are fully qualified tree surgeons and grounds labourers who will provide a high quality service. 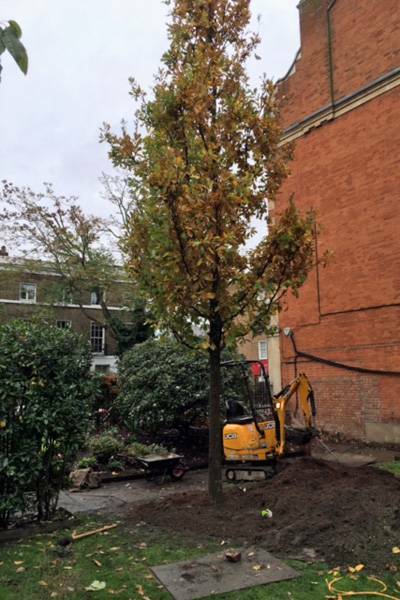 There are many types of work that can be done to trees and listed below is a list of some of the services we provide with a brief explanation of what those services involve. 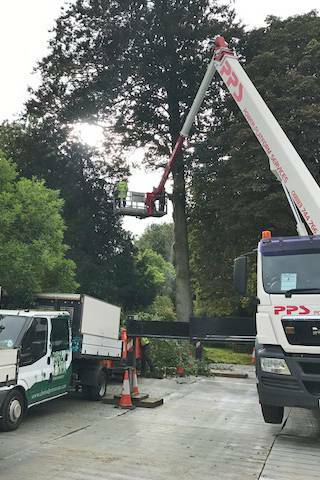 Some tree work will require specialist equipment like cherry-picker trucks for tall trees, hydraulic platforms etc which is all available to our clients. This work is when a tree surgeon makes a series of precision cuts to a tree’s crown, reducing the foliage that it bears. This process can increase light exposure to crucial areas of the tree that may be shielded by foliage encouraging healthy re-growth. Ideally, the end result is the tree maintains its shape and the best parts of its original foliage and ends up looking more attractive and neater. 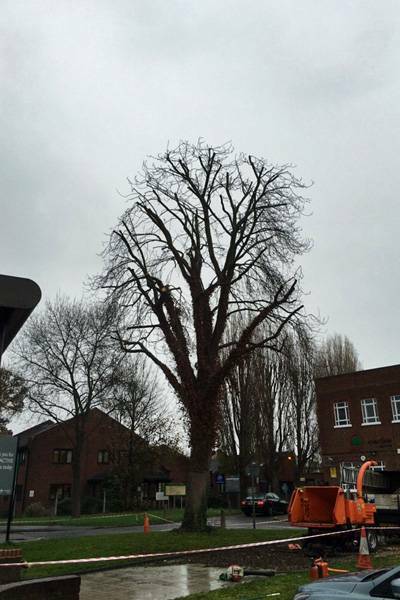 This type of work is when tree surgeons remove the top-most sections of a tree’s main branches to encourage the tree to grow a much healthier head of foliage. This process can also avoid a tree from growing too big, which could result in it interfering with electric wires, streetlights or gutters. At Chris Edge Treecare Limited we would never fell a healthy tree, however sometimes, trees need to be felled, perhaps because they are essentially unsound and pose a threat to people or property, and sometimes because they need to make way for a new development. A full risk assessment is completed for every job that we carry out and this will determine how a tree is felled. 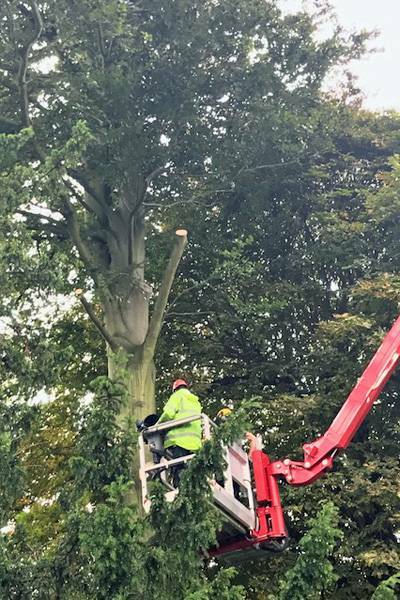 Most times our tree surgeons adopt a traditional felling method, where a cut is made to influence the direction a tree falls, or sectional dismantling takes place. This method is used when space does not allow for traditional felling and sees us cut the tree down bit by bit. We may use lowering ropes if necessary. This process is when we remove a selection of smaller branches, usually positioned toward the crown’s outermost layer, to ensure the tree’s foliage remains a consistent shape and looks neat. 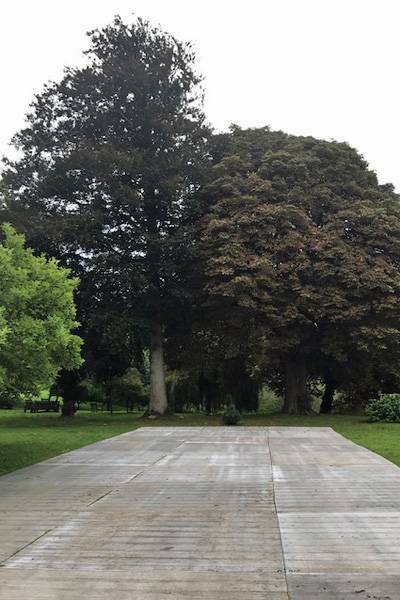 The process doesn’t change the size or shape of the tree, and we would recommend that no more than 30% of its foliage should be removed at any one time. Crown thinning helps light reach the tree and can reduce wind resistance and weight. This process comprises the use of specialist stump grinding equipment to remove stumps from your grounds. We have all of the necessary machinery so we can undertake large stump grinding jobs or smaller ones. We remove all of the wood chip away if required for recycling. Chris Ede Tree Care Limited offers a full hedge trimming service and can serve clients with large, out-of-reach hedges, as well as those with smaller hedges. 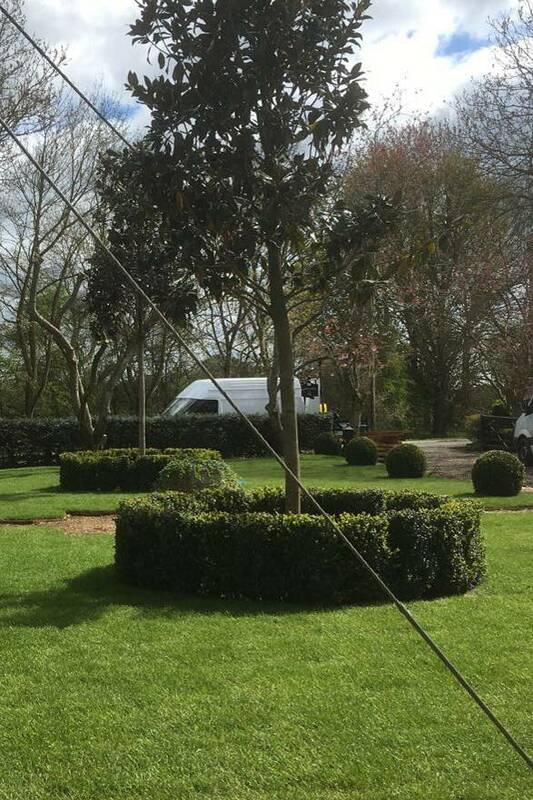 We pride ourselves on giving our clients the best hedges and we have all of the relevant trimming equipment to ensure that your hedge looks immaculate.